Buy Rugby World Cup 2015 cd key for PC in digital version at best price is already possible by Gocdkeys! 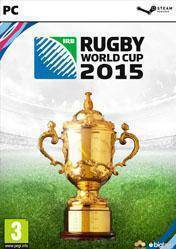 You can preorder Rugby World Cup 2015 for Steam in any of the online shops registered in our price comparison site. To activate the download from Steam, you must add the digital serial of Rugby World Cup 2015 into your user account. Rugby World Cup 2015 is a real Rugby simulator where we can enjoy intense and realistic games of this contact sport. We can choose between the 20 teams of the World Cup and take part in the most prestigious competition of rugby. Once selected our favorite team, we must take up the top of the world rankings, and even create your own custom tournaments. Live the experience of the World Cup with games commented by Miles Harrison and Stuart Barnes. The interaction and control of the players has been renewed, allowing quick and easy controls. Find the perfect tactics to beat your rivals and end up being world champion Rugby. Remember that all stores appearing in gocdkeys have been tested by our team so they are 100% reliable, even so, we recommended you to carefully read the specifications in each store at the time of shipping, ways of activation (in case they are digital versions) and methods of payment. There are no comments yet about Rugby World Cup 2015 . You can be the first one! Rugby World Cup 2015 PS4. New Zealand v South Africa Semi Final.